Mile marker 21 everybody. Phew, this marathon's flying by! 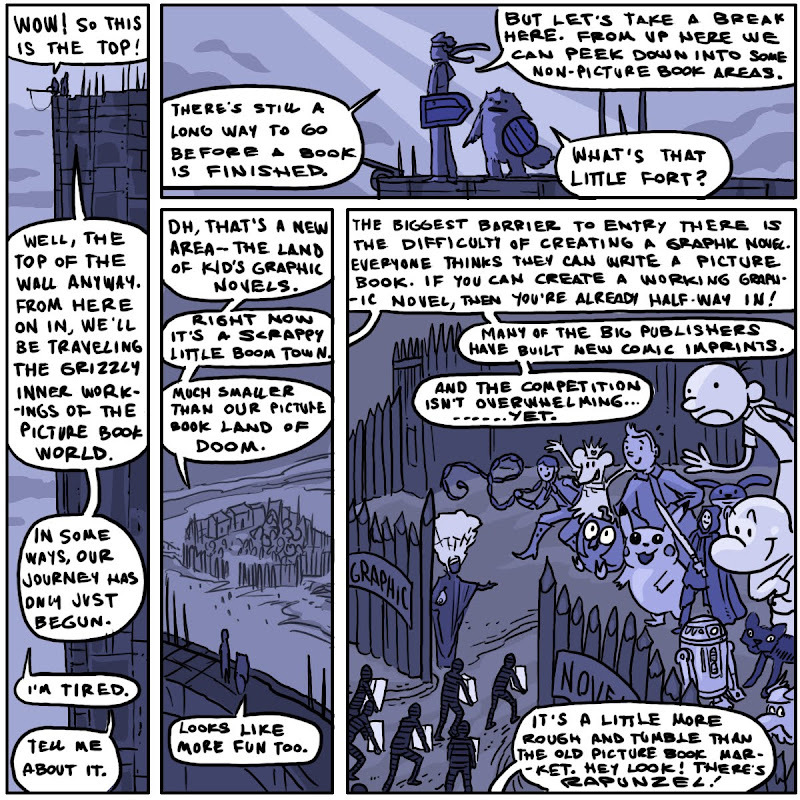 Here is my wordiest-yet LAND OF DOOM strip. 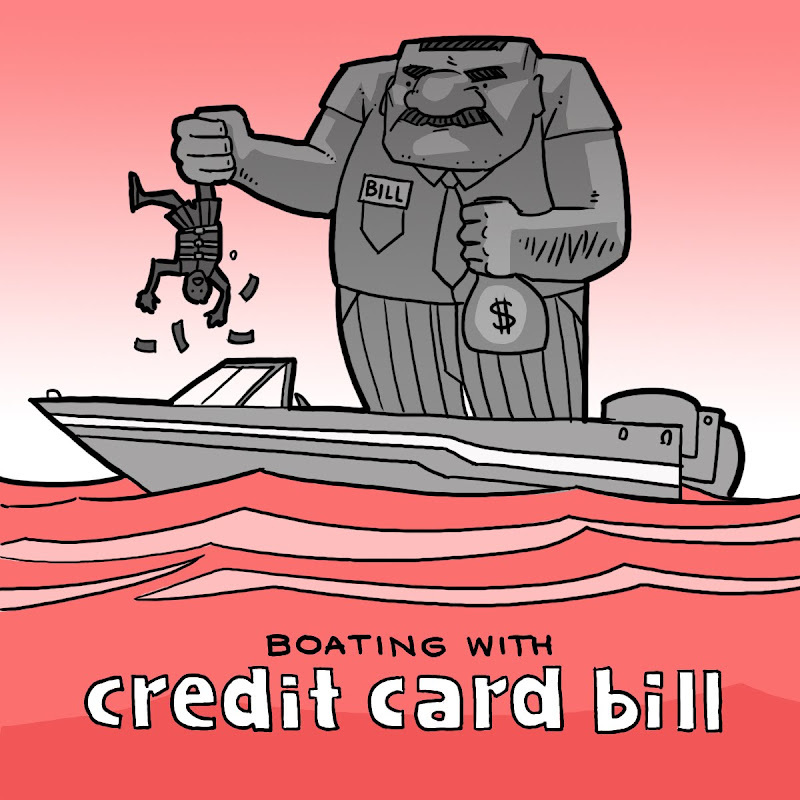 Title: "Boating With Credit Card Bill"
Synopsis: Sure, buying a boat is fun, but not when you have to take Credit Card Bill on all of your trips. He gets bigger and bigger, making it nearly impossible to enjoy your boat. Credit Card Bill could have his own series, Building a House With Credit Card Bill, Watching TV With Credit Card Bill, Off to College With Credit Card Bill. He's got loads of potential. I would buy this book and all its sequels... with Credit Card Bill. I have been enjoying your marathon and the Land of Doom so much! I love this! I hope Bill has a good opposite called Low-rate Mort or something. Books with Bill--a great way to teach children about financial responsibility. I wish it weren't so relevant. An awesome way to teach--hopefully the next generation will be smarter on this stuff.